A secret home movie that lay hidden for as long as eight decades, has just been released. It shows Queen Elizabeth II performing a Nazi salute as a child with her mother, sister and uncle at Balmoral Castle in Aberdeenshire, Scotland. The video was most likely filmed between 1933 and 1934, after Hitler's rise to power in Germany. The black-and-white footage, obtained by the British tabloid The Sun, features the then seven year-old Princess Elizabeth thrusting her right arm into the air in Adolf Hitler's signature gesture. She is seen dancing and waving excitedly at the camera with her younger sister Margaret, who was around three at the time. Their mother, Elizabeth (later known as the Queen Mother) and their uncle, Prince Edward (whose links to the Nazis still remain a controversy) are also seen performing the notorious salute. A prominent academic, Dr Karina Urbach from the London-based Institute of Historical Research, has described the film as "pretty shocking." 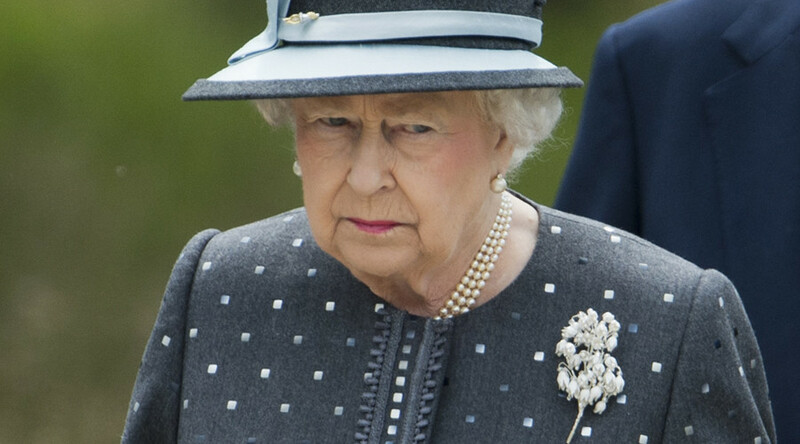 "The Queen has a proud Second World War record and sense of duty to her country and no one would ever suggest she was sympathetic to Nazi Germany," the told the Sun. "She was a child when this film was shot, long before the atrocities of the Nazis became widely known. But Edward was already welcoming the regime as Prince of Wales in 1933 and remained pro-Nazi after war broke out in 1939. “He could well be teaching the Queen and Princess Margaret how to do the salute,” she added. Harry dresses as a nazi= he's only young King gets queen to do nazi salute= it's out of context.. Scots that want independence= NAZIS!! The film which only lasts about 18 seconds has caused a furore in Buckingham Palace. "It is disappointing that film shot eight decades ago and apparently from HM's (her majesty's) personal family archive has been obtained and exploited in this manner," a spokesman for Buckingham Palace said in a statement. “Most people will see these pictures in their proper context and time. This is a family playing and momentarily referencing a gesture many would have seen from contemporary newsreels,” a palace source added, according to the Daily Mail. "No one at that time had any sense how it would evolve. To imply anything else is misleading and dishonest." Duke of Edinburgh, with a history of racially bigoted and poisonous views: "LOL, silly old Phillip." 7yr old Queen does a salute: "NAZI!" When King George V died, Prince Edward was crowned King Edward VIII in 1936. He voluntarily renounced the throne in December 1936, with his reign lasting less than a year, to marry his American lover Wallis Simpson. In 1937 Edward and his wife, who were given the titles of duke and duchess of Windsor, met Adolf Hitler in Germany. According to the new research, carried out by Dr Urbach, which was revealed last month, Edward VIII wanted Britain to be bombed into an alliance with the Third Reich and blamed “Jews and Reds” for World War II. With the Queen doing a Nazi salute as a child can we now drop all accusations of the SNP being a Nazi party? She wrote: “The Royal Archives have always ensured that letters from German relatives of the royal family in the run up to World War II remain closed. The Queen doing a nazi salute as a kid with no possible notion of the horrors to come, is just Cowboys & Indians. Not scandalous whatsoever. “Intelligence reports and German, Spanish and Russian documents show members of the British royal family were indeed far closer to Nazi Germany than has previously been recognized,” Urbach said. The records even hint at a possible correlation between the Duke’s fascist leanings and the start of the German bombing campaign against Britain. Urbach wrote that in another conversation on June 25, 1940, Don Javier Bermejillo, a Spanish diplomat and old friend of the Duke of Windsor reported that Edward stressed if one bombed England effectively, this could bring peace.